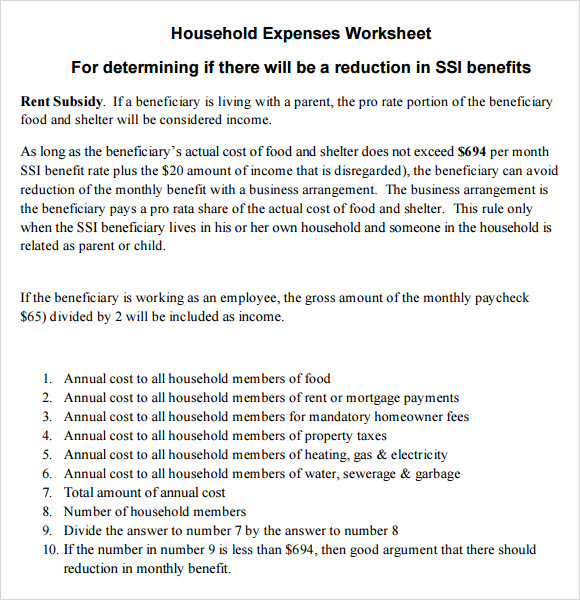 When living with a large family, it is absolutely essential to keep track of the monthly expenses incurred, otherwise it can lead to a lot of confusion and maybe even monetary losses. 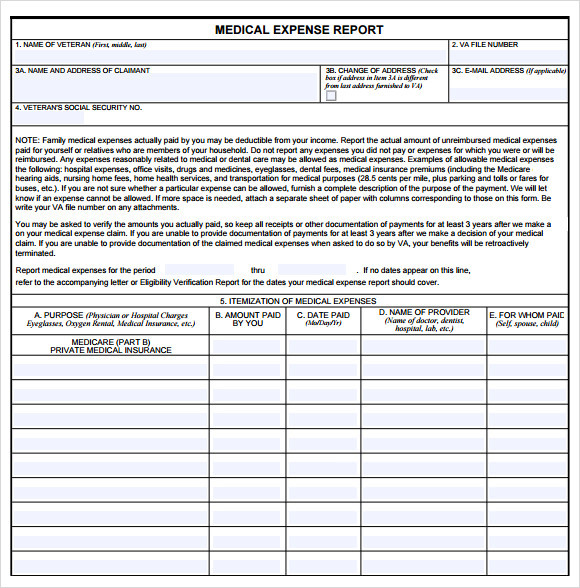 In order to simplify the process of maintaining such records, we have designed a variety of Sample Expense Report Templates. 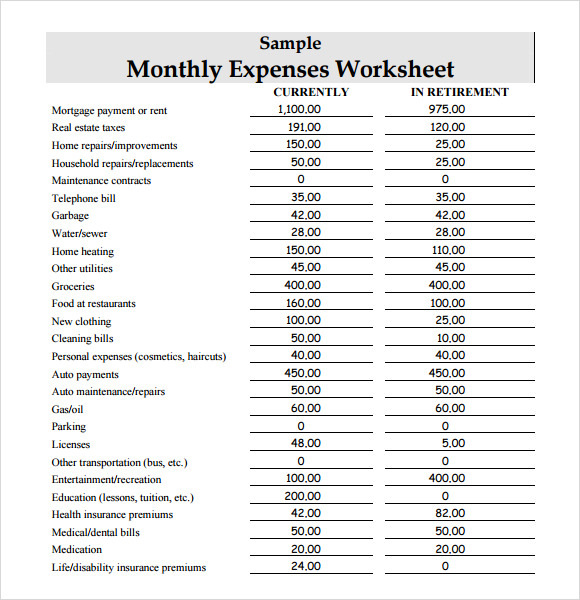 These example templates come in a range of formats with the option to add the expenses, the dates, the total, and other important data. 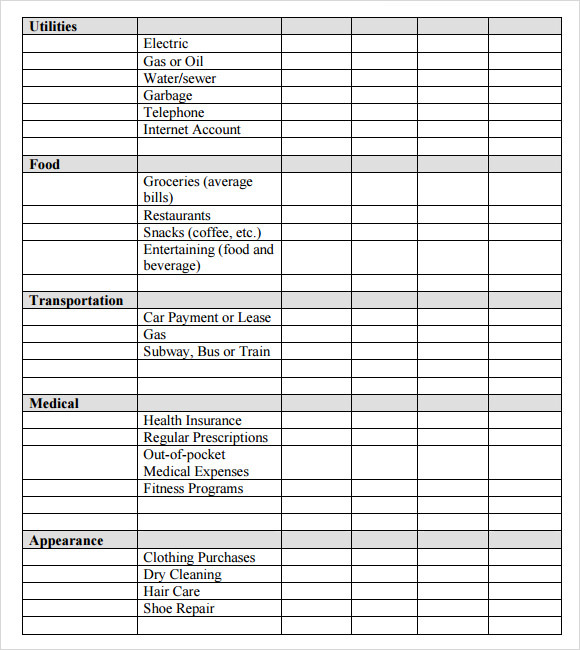 Select and download the sample of your choice for free, fill it in and keep updating it as per the expenses are incurred during the month. This template is designed as per the particular points given below. 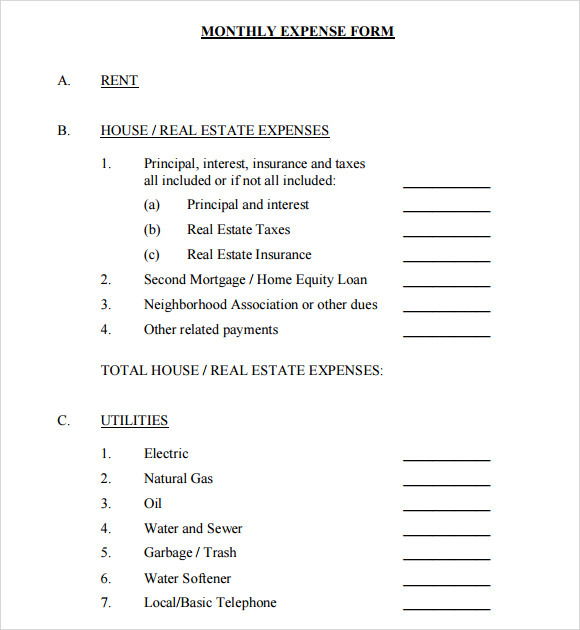 Such as name, expenses, living, housing, regular payments that are some important figures that are enlisted here. This is available in mainly in excel format and ensures that all the other details like other points can be enlisted here as per the particular requirement of the user. Utilities, food, transportation, medical and appearance are the some points based on which all the other details can be custom made. This is available in the form of various formats and ensures that all the other details can be included as well. In the left side of the template there are points that are remembered in a particular format so that user when use this type of templates can put their data accordingly. It ensures that when we use this type of formats this portrays a detailed design as well where current design and detailed description is available side by side. 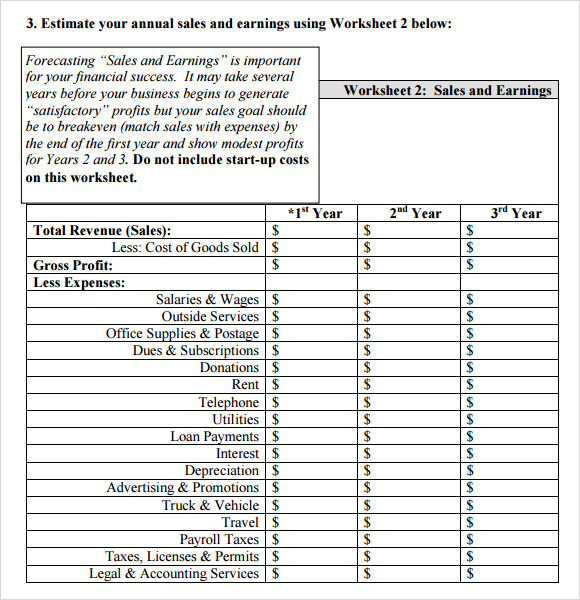 In this template, this forms a table format and all the other things like expenses, Monday, Tuesday, Wednesday, Thursday, Friday and Saturday is calculated widely in respect to the other points. Daily totals and weekly totals are the other some points that are included here. 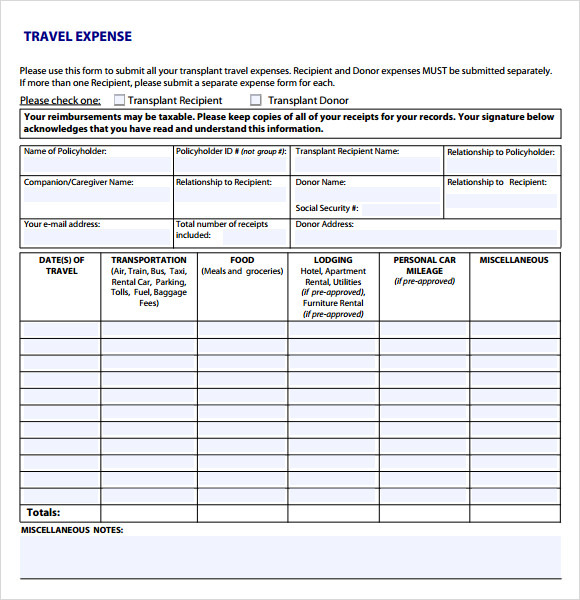 What Are The Reasons To Use Expense Sheet Templates? When living with a large family, it is absolutely essential to keep track of the monthly expenses incurred; otherwise it can lead to a lot of confusion and maybe even monetary losses. That’s the reason why this type of template is designed. It ensures that all the other things remains constant it can be further be modified. 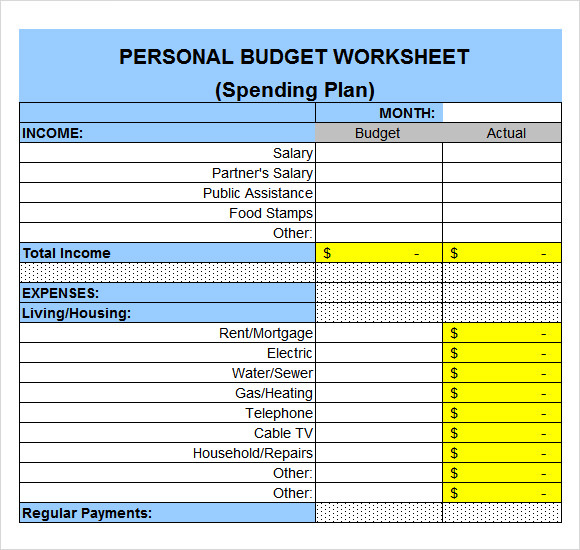 Like some families wants their expense would be maintained through daily budget, or some wants they want to include their budget in a monthly manner, that’s the reason why this type of template is issued and used. 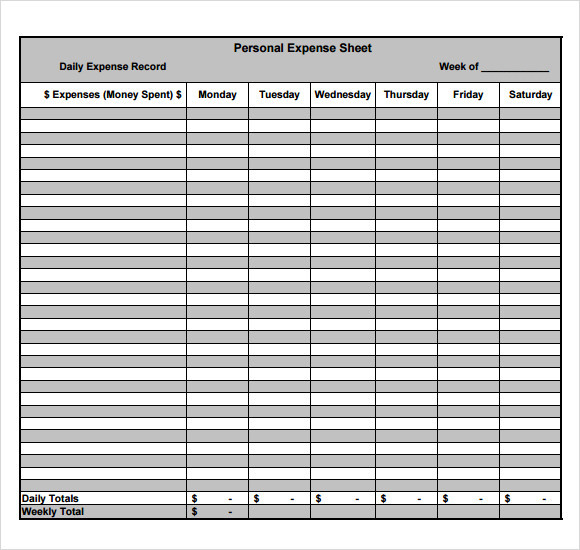 When Can We Use Expense Sheet Templates? If you are planning to design these types of templates all the other things, need to remain constant. It ensures that, other points can be added or removed as the particular requirement of the family.